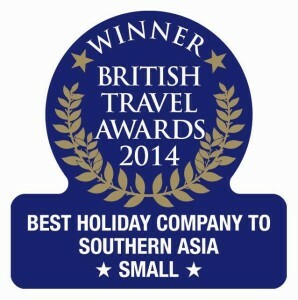 SKANDA HOLIDAYS has been announced as the winner of Best Holiday Company to Southern Asia in the prestigious 2014 British Travel Awards. The announcement was made on 26 November at a glamorous Gala Awards Dinner, held at Battersea Evolution in London and attended by close to a thousand travel industry people. SKANDA HOLIDAYS is a small independent travel company based in Birmingham and Edinburgh, who offer specialist travel packages to the worlds most exciting destinations. They tailor make holiday packages for discerning travellers to Asia, South America, North America, Oceania, Antarctica and Africa to name but a few, as well as more intimate itineraries to some the worlds most intriguing and hard to reach places. Skanda Holidays apply extensive research and thorough study into what the traveller needs and wants and are able to offer the ultimate and most luxurious of travel options to the world’s most discerning clientèle – whether an individual, family, honeymooners, groups or corporate clients. The small team at Skanda Holidays is comprised of some of the most passionate professionals in the industry, specialists in their fields and with a local and intimate knowledge of their area specialism. The British Travel Awards is a proudly independent organisation, with all votes scrutinized and verified by leading global accountancy practitioners Deloitte. The BTAs are the only travel industry accolades voted for exclusively by the travelling public, and the Awards serve to recognize all that is great about the travel companies preferred by holidaymakers from Great Britain. Skanda Holidays is an independent specialist travel company offering tailor made holidays to Asia, Oceania, Europe, South America, North America, Africa and Antarctica. Skanda Holidays apply extensive research and thorough study into what the traveller needs and wants and are able to offer the ultimate and most luxurious of travel options to the world’s most discerning clientele – whether an individual, family, honeymooners, groups or corporate clients. 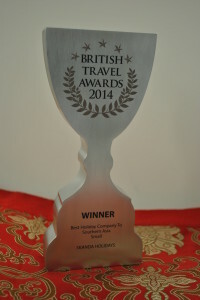 Skanda Holidays are members of both ATOL and ABTA. 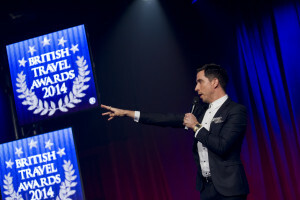 The British Travel Awards is the largest awards programme in the UK created to reward the best companies in travel. The British Travel Awards are easily the most recognisable of all travel industry accolades amongst consumer and industry professionals alike with categories spanning all types of holiday experience – transport, destination, cruise, customer service, holiday extras, and accommodation. The British Travel Awards symbol is the benchmark for excellence when it comes to finding out who really is the best in the business. The 2014 BTAs results were announced on 26 November at Battersea Evolution.